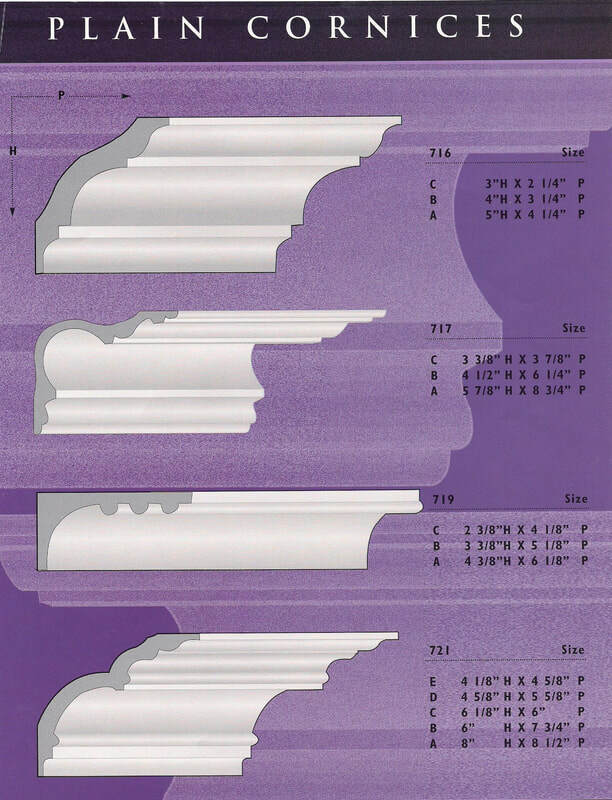 Measurements and Style numbers are attached to each image, please click to view an expanded version of the image. For any styles not listed here that you may have viewed somewhere else, please call us, or send us an email with the link to the style your inte​rested in. 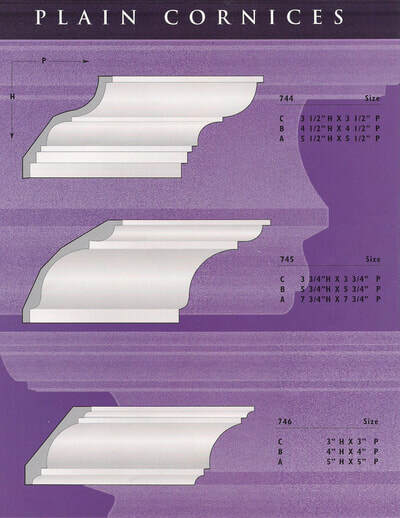 Our fabricators can make most any style available. 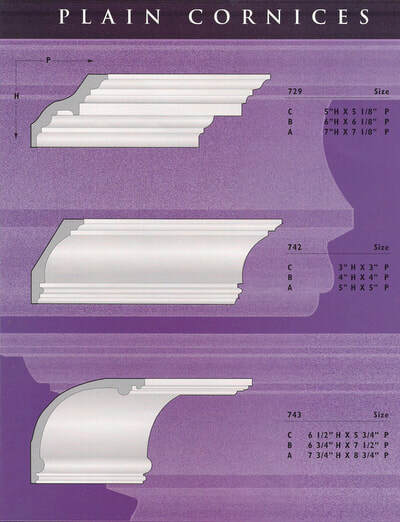 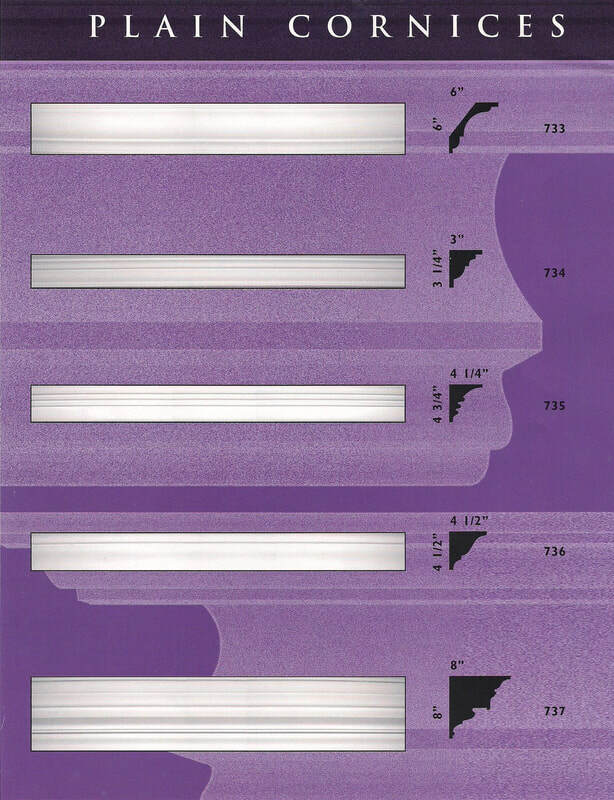 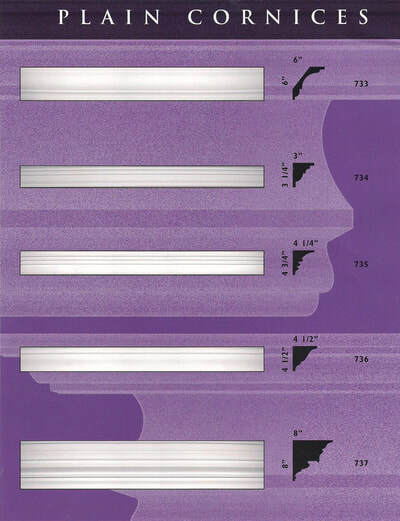 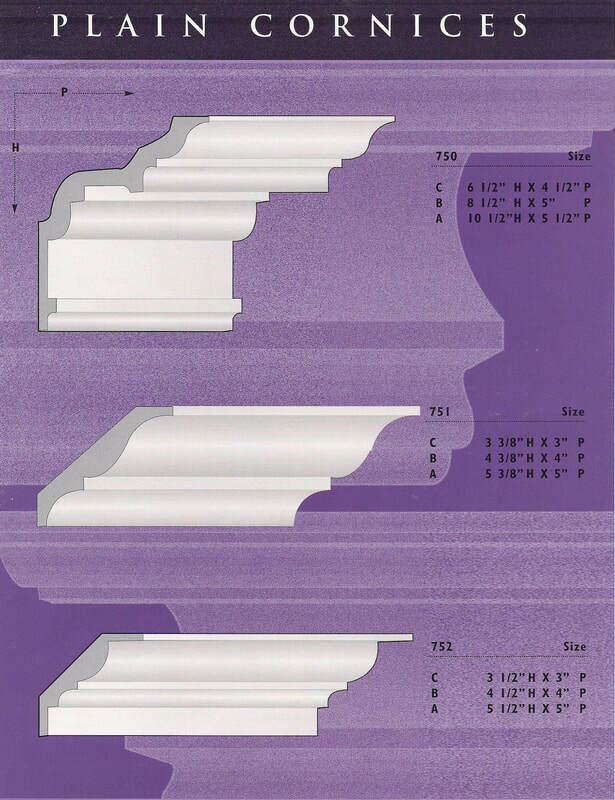 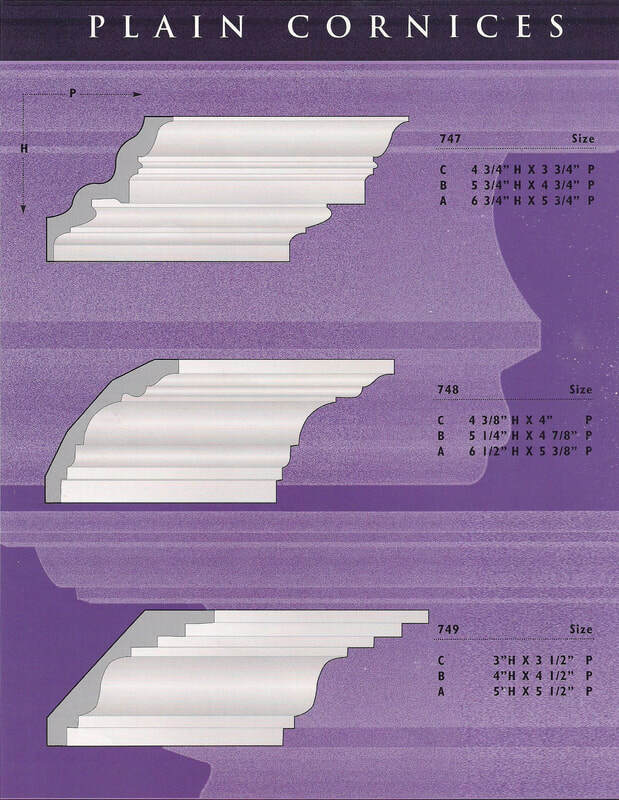 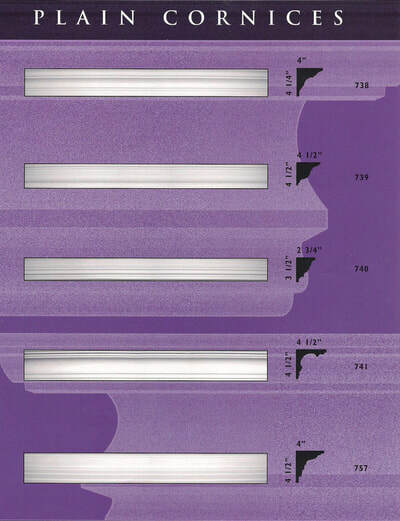 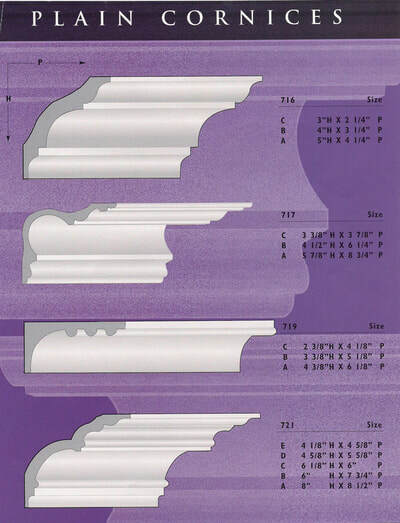 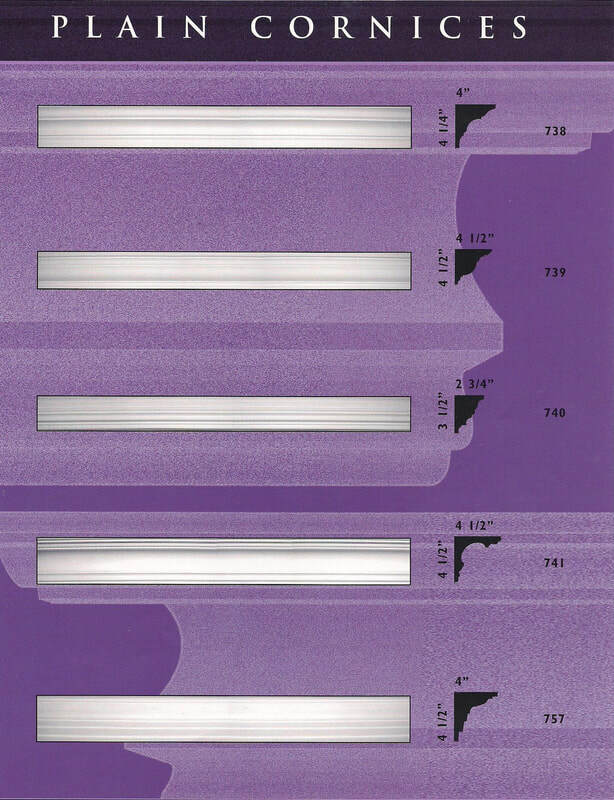 The following letters reference the available face measurement of the following eight standard mouldings bellow.